New Delhi: Australia has appointed Peter Varghese, a person of Indian origin, as its high commissioner to India in the backdrop of recent racial attacks on Indian students in that country. Varghese, whose parents were born in Kerala, presented his credentials to President Pratibha Patil on Thursday. 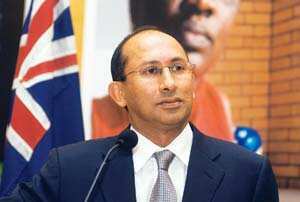 The new Australian high commissioner, however, said that he was not here for any “damage control mission". “My appointment has been in the system for a long time, and it is purely coincidental that it has come at such a time," Varghese said. “I can assure you it is not a carefully or cleverly thought out strategy." Although this is the first time Australia has appointed someone of Indian origin as its high commissioner to India, the country had sent Rakesh Ahuja, who was also of Indian origin, as its deputy high commissioner to India in the 1990s. Varghese reiterated his country’s stated policy of zero tolerance to racist violence and said his government was taking all possible measures to deal with it. Australia, which recently joined China in blocking an Asian Development Bank loan for a project in Arunachal Pradesh, does not believe in the Chinese contention that the state is not a part of India, Varghese said. “We always supported the Indian position (on Arunachal Pradesh) and there is no change of our stand," he said. The high commissioner also said Australia would support India’s bid for a permanent seat on the security council of the United Nations.